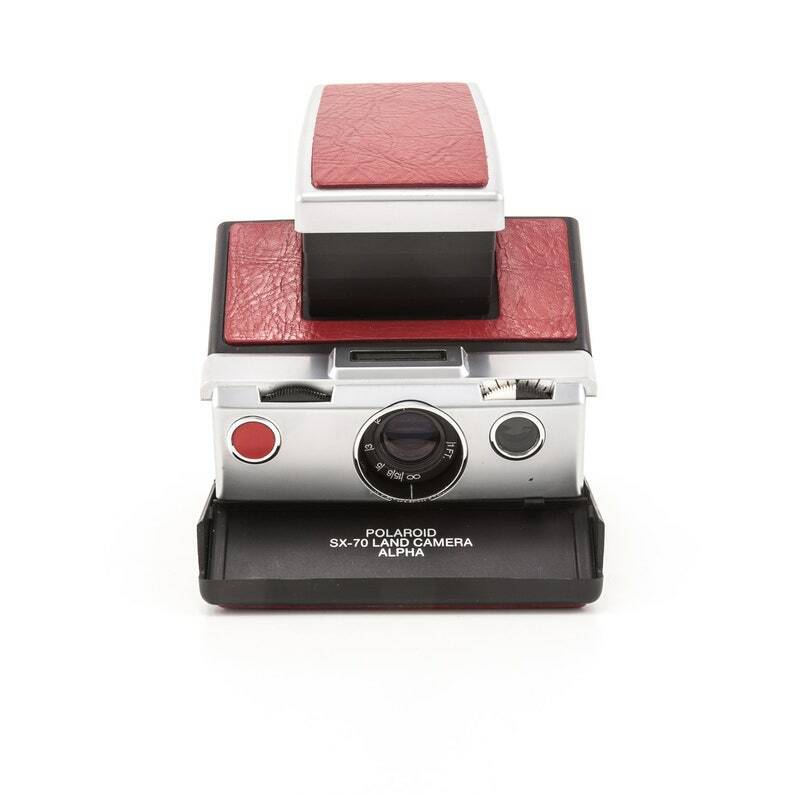 This is a Polaroid SX-70 Land Camera ALPHA BC with a black plastic body and new red leather covering. • This camera has been reskinned with new red leather. This camera has been disassembled, reconditioned, and reassembled back to perfect working order.